As efforts to make child-spacing or pregnancy-spacing a social norm in Nigeria heightens by stakeholders including Nigerian Urban Reproductive Health Initiative 2 (NURHI2) and Development Communications Network (Devcoms) among others, men too are now keying into the campaign for the sake of good health of their family, Gobroadsheet can authoritatively report. This development is important because before now in Northern Nigeria, men have not been that involved in child-spacing programmes due inadequate awareness, misconceptions, cultural and religion beliefs to support their wives in accessing the child-spacing services at government approved facilities that abound in their immediate environment. In two communities visited in Soba local government area of Kaduna State, Richifa and Yakasai, men were sighted with their wives at the Primary Healthcare Centre. One of them is Mallam Inuwa Sani, the husband of two and father of six who was seen physically happy and eager to tell the media team who visited the facility how his friend told him about the programme and his interest to give it a trial which he said he has not regret his action. “I have two wives and six children so I am here with one of them to see how we can possibly benefit from the health service here in Yakasai. I got to know and developed interest when a friend told me about it”, Sani stated. Towards the end of the year 2016, NURHI embarked on an intervention tagged ’72’ hour intervention. The intervention was targeted at renovating and equipping selected primary healthcare facilities in some local government within 72 hours (three days on weekend) in order to prepare them for uptakers of child-spacing commodities by women living in the selected wards and their neighbours from other wards. This is already yielding positive result as more reproductive age women are now approaching the PHC facilities for the service far above what was the situational report before the intervention. The campaign actually needed to be extended to more wards and local government areas and that means, more partners should come in to complement NURHI. For example at PHC facility at Richifa, Soba local government area of Kaduna State, Northwest Nigeria, the facility used to record low turn out between 25 and 30 in a month. But that has changed now according Vocal Routine Immunization Provider at Richifa, Yahusa Ari, the facility now has 60 uptakers on the average on monthly basis. The In-charge at Richifa, Aminu Talatu, was not on seat when the team of newsmen visited the facility on Tuesday (11-97-2017) because she was officially engaged at the local government secretariat, Soba. On what is responsible for the sharp increase Yahusa said, “NURHI invited our staff and trained them on child-spacing practical. They went and attended the practical and came back to teach others which has help us at this facility to develop more child-spacing advocate and expertise. “There has been great improvement. Before the NURHI’s intervention, the maternal and child deaths were on the high side but that has changed now because we have been persistent on community campaign and mobilization in the communities and even remote villages and hamlets. With that, we have been able to reduce that issue to about 70%”, added Yahusa. Also speaking, Yahusa’s Assistant, Ibrahim Garba said, “this NURHI`s visit and intervention on this facility has been a blessing because the ward and all other wards around are coming to access the service free of charge. They are not paying a penny because NURHI supplied us all the needed items. “People here both men and women have accepted the programme and we have enough commodities. Injectable is preferred by women around here with the support of their husbands as they now accompanying their wives here”, he hinted. He however called on NURHI and indeed the state government to help the facility with more hands especially, cleaners as they are the ones currently sourcing and paying for their services outside pocket. 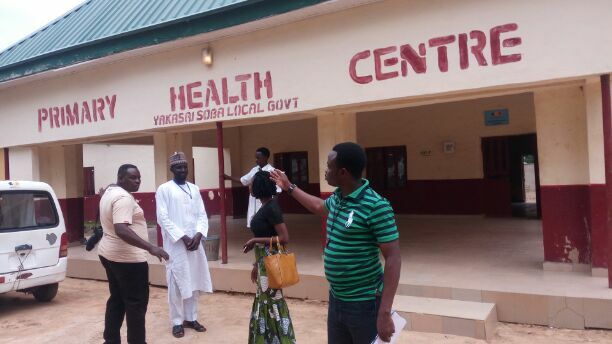 The story at Yakassai PHC facility was also a success one as Deputy In-charge, Fatima Adamu told the team that, there was improvement and awareness is now becoming a social norm among the people of the communities through the effort of community leaders. “What we are doing is that, we do engage their leaders from time to time to show them about the several benefits that abound around them if they space their children. So, when the leaders are briefed, they relay the message back to the men in their area and they have been coming together with their wives for the counseling and service. “That 72 hour intervention has also helped us to reduce maternal deaths because before that time, women in this area don’t come to the facility for delivery. But because of community mobilizations for child-spacing, they are now coming and that has drastically reduced maternal death. We use to refer the extreme cases to general hospital in Zaria and that too has also reduced”, she stressed.